King Offa of Mercia gave land on which Bexhill stands to the Bishop of Selsey in 772 AD for the purposes of building a church. St Peter's still exhibits Saxon remnants, including an 8th century coffin slab. However the devastation following the Norman invasions resulted in the church being largely rebuilt. 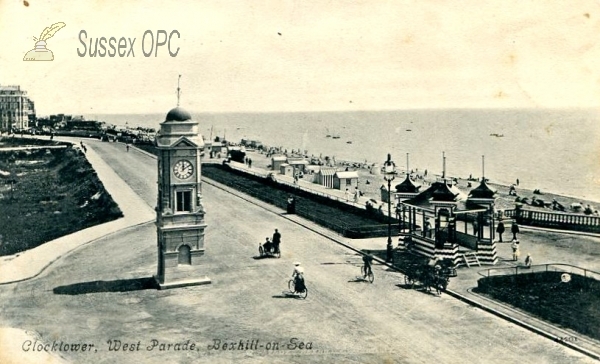 In more recent times the town is known for the Pavilion named after Earl de la Warr, an old Sussex family and landowner. 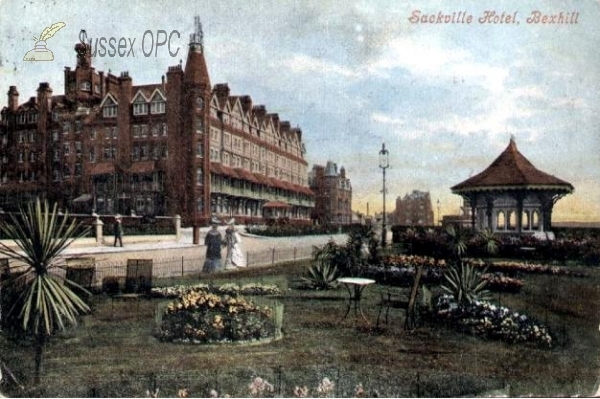 The acclaimed building is situated right on the sea front which extends for two miles. Modern parishes were formed in the 19th century, All Saints (Sidley), St Barnabas, St Mark and St Stephen. In the cemetery of St Barnabas Church is a monument in memory of Sir Gordon Guggisberg, Governor of Gold Coast and Ashanti, who died here in 1930. The name of the town, literally means a clearing in the box trees. 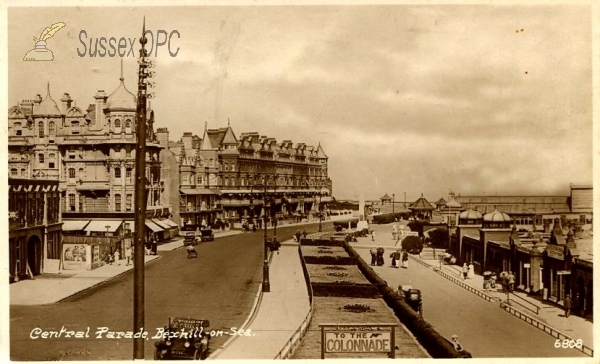 The church was built on the site of a Neolithic earthwork, and until the Lord De La Warr developed the modern resort in the late 19th century, Bexhill was a small settlement clustered around St Peter's church (the 'old town'). Bexhill, St Augustine, Bexhill, St Barnabas, Bexhill, St Stephen, Little Common (Bexhill, St Mark), Sidley. 7 individuals in the OPC Database for the 1841 census. 82 individuals in the OPC Database for the 1851 census. 90 individuals in the OPC Database for the 1861 census. 45 individuals in the OPC Database for the 1871 census. 62 individuals in the OPC Database for the 1881 census. 63 individuals in the OPC Database for the 1891 census. 56 individuals in the OPC Database for the 1901 census. Grid reference: 574500, 107500 ~ View on: Google Maps, Open Street Map, Streetmap, National Library of Scotland Map or Oldmaps. Roll of Honour have a transcription of the war memorial at St Mary Magdalene (RC) church together with biographical information concerning the individuals listed. The OPC database contains 236 poll register entries for people entitled to vote in this parish. The OPC database contains 202 entries for people associated with this parish mentioned in Gazettes. There are 368 images depicting this parish in the OPC database. The OPC database contains 142 postal directory entries for this parish, (breakdown below). 142 entries from the 1878 Kelly's Directory. 1878 Kelly's Directory for Bexhill. There are 6 books about this parish in the Sussex OPC Bibliography. There are 7 articles about this parish in the OPC Sussex Archeaological Collections Index. The OPC database contains 2 wills of people who lived in this parish.